Emerson, the St. Louis-based global technology and engineering company, honored five University of Missouri–St. Louis alumni at its annual Excellence in Teaching Awards ceremony and reception, held Nov. 11 at the Ritz-Carlton in Clayton. Each fall, Emerson recognizes area educators, selected by their schools’ administrators, who display steadfast dedication to the teaching profession. 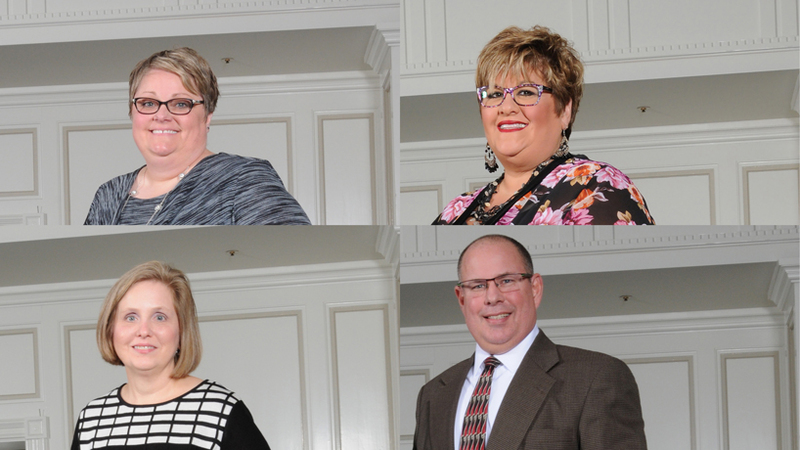 This year, UMSL alumni Jamie Buchner of Fort Zumwalt West High School, Julie Eckhoff of Henderson Elementary, Deborah Meyer of Orchard Farm High, Fawn Ruch of Northwest High and Steven Spoljaric of Bayless Junior High were among the 109 educators honored. All the awardees received an engraved Tiffany & Co. crystal apple box at the ceremony, and they will all have the opportunity to apply for a Gold Star Grant from Emerson. The grants are designed to fund educational projects in technology, innovation and leadership – the pillars of the Emerson brand – and will be awarded in the spring. More than 50 UMSL alumni have earned Emerson Excellence in Teaching Awards over the past five years.